Has Hollywood Blake Shelton eclipsed musician Blake Shelton? 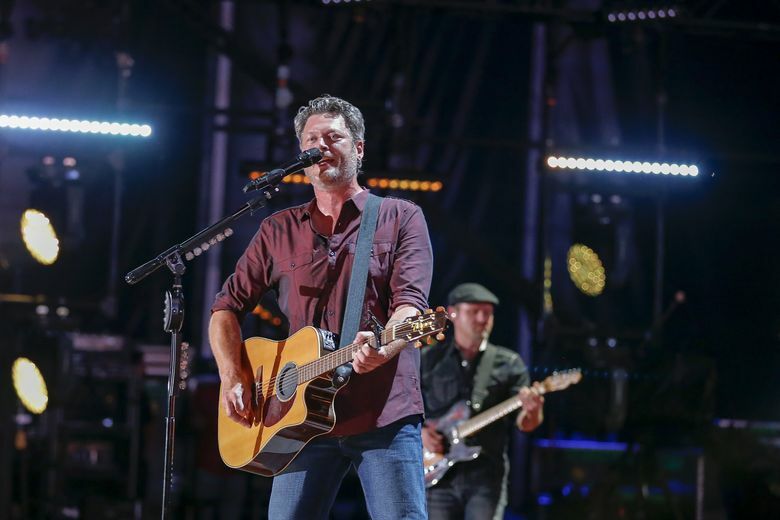 Sometimes it seems like the music gets lost among constant reports on Shelton’s personal life, but the country star is a natural entertainer with proven staying power. He performs at the Tacoma Dome on Saturday, Feb. 25. Sometimes it feels like Blake Shelton has become a bona fide Hollywood celebrity who still dabbles in music from time to time. It’s an understandable shift, considering his six-year run as a coach on NBC’s “The Voice” and his high-profile relationship with pop superstar Gwen Stefani. Despite appearances, Shelton has managed to tour every year since 2010, releasing five albums in that span including last year’s “If I’m Honest.” He’s on the road again with his “Doing It to Country Songs” tour and will be at the Tacoma Dome on Saturday, Feb. 25. Shelton is an old-school country star who does not write the majority of his music and has always had a slickly produced sound, which in itself is no crime. Yet “If I’m Honest” — which is ostensibly a breakup album in reaction to his split from Miranda Lambert — seems to go out of its way not to offend anyone. Take the song “Bet You Still Think About Me,” toothless in its nonspecific titular refrain and delivered with as much pain as one might experience at a particularly long wait at the DMV. Compared to a thematically similar song like “Lonely Tonight,” from 2014’s “Bringing Back the Sunshine,” it’s striking how uninterested Shelton sounds these days. It’s not just the breakup songs that seemed to suffer. Even the obligatory celebration of beer feels off, with Shelton boldly proclaiming “ain’t nothing about us fake” on “Straight Outta Cold Beer.” It’s a song that’s late to the party that Shelton himself helped get started. There is no question that Shelton has been one of country music’s most successful stars. You don’t get to 10 major-label releases without talent and drive, but staying there is another matter. Complicating matters further is a growing movement toward a more grounded sound, evidenced by artists like Chris Stapleton, newly minted Grammy winner and Music Row dissenter Sturgill Simpson and even Eric Church. One thing is for sure: Shelton is in his element on stage. He’s a natural entertainer and at 6-foot-5 a dominating presence, even in a large arena like the Tacoma Dome. Last time he toured there, in 2014, he played a two-hour set that made sure to touch on favorites from all eras of his lengthy discography, and fans should expect the same. “If I’m Honest” has sold well, and there’s little reason to think Shelton will switch up his studio sound anytime soon. So head out to his show, because it’s a chance to see Shelton and his music at their most honest.